The company's history reveals why they are thriving today as a result of their past forays in the realm of antennas. 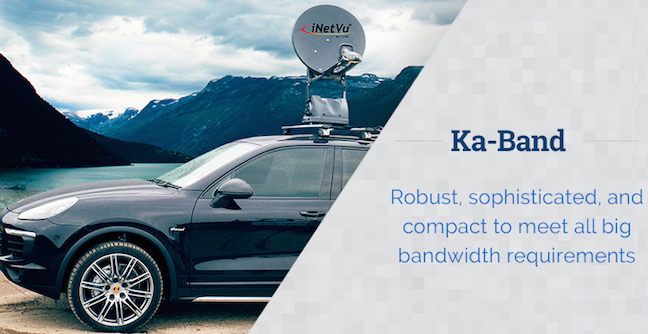 C-COM Satellite Systems are pioneers in the manufacturing of motorized antenna systems for the delivery of broadband internet to any location via satellite. The company manufactures its iNetVu® brand in Driveaway (vehicle mount), Flyaway (transportable), Manpack (backpack) and FMA (fixed motorized) format. Currently there are more than 8,000 systems deployed in over 100 countries. That was then and this is now ... where their latest endeavor finds them in partnership with the University of Waterloo creating its first Electronically Steerable Phased Array Antenna. C-COM tested its Ka-band, chip-based modules using the company's patent-pending phase shifter technology in the summer of 2016. The proof of concept prototype is expected to come out in 2019. Coming from Ontario, Canada, to the SmallSat Symposium in California's Silicon Valley, will be Drew Klein, the Director of International Business Development for C-COM Satellite. Klein will be a participant in a panel about Antennas Tracking and Phased Array Antennas on Wednesday, February 6th, 12:15 pm. Drew is responsible for the sales and marketing departments at C-COM and directs the promotion of the iNetVu®mobile antenna, the auto-deploy and fully motorized VSAT solution. Prior to joining C-COM in 2010, Drew worked in Los Angeles for 10 years where he was the President of a national commodity brokerage firm. The company’s key business line was sold to a Chicago based FCM. In the year 2000, Drew graduated from the University of Waterloo’s Honours Science faculty (Biology) as the class valedictorian and as President of the local chapter of the Sigma Chi Fraternity. 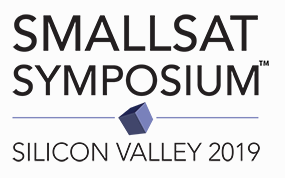 Drew and others will be attending the SmallSat Symposium which takes place from February 4 with workshops, then on to the Conference from February 5 - 7. The event is hosted by SatNews, which since 1983 has been a provider of a satellite news, media and events. The SmallSat Symposium is created to enable you and your company to secure a larger portion of the market share and then take part in the next stages of your growth. You can register here. The interpersonal connections at SmallSat have also been given careful consideration so that attendees are assured of having the opportunity to network with both established organizations and new space entrants. SmallSat Symposium will focus not only on new technology, but the business environment shaping its implementation. The event brings together more than 100 diverse speakers with deep industry experience as well as the opportunity to mingle and network while enjoying exceptional complimentary meals and refreshment breaks.